Lakefront properties are among the most desired dream houses for people who can afford them. Ideally, the landscape design works with nature and isn’t any type of duplication seen in regular suburban areas full of track housing. Either modern or traditional ideas can help give the home its own inspiring identity as long as it’s unique to the area. Before committing to any work on your property, however, check on local regulations for zoning, landscaping and preserving wetlands. A well-maintained green lawn is usually more eye-catching than a dirt yard with weeds or something in between grass and dirt. However, dark soil does have a clean elegant look when it surrounds colorful plants and flowers. Palm trees make nice lakeside attractions and do not have to be indigenous, as many places where they are found actually were transplanted from tropical and subtropical islands. Make sure whatever plants you choose for your front and back yard can adapt to your local climate or they may struggle to grow properly. Low hedges help prevent wildlife from hiding on your property while preserving and framing scenic views. Concrete is considered modern, durable and authoritative with its bright white or gray appearance, which can easily blend with other colors. Certain types of concrete aggregate are considered partially eco-friendly since they can be made from natural materials such as limestone, sand and crushed rocks, but cement trucks do emit harmful carbon dioxide in the atmosphere. Concrete can also be recycled, although it generally lasts a lifetime once molded and set. Porous pavement uses similar ingredients without the finer materials, allowing water to seep into the ground. Asphalt is manufactured from toxic carcinogens and deteriorates after years of wear and tear, but can be recycled, although its toxins can leak into ground water, rivers and lakes. Be aware that some forms of asphalt are flammable. 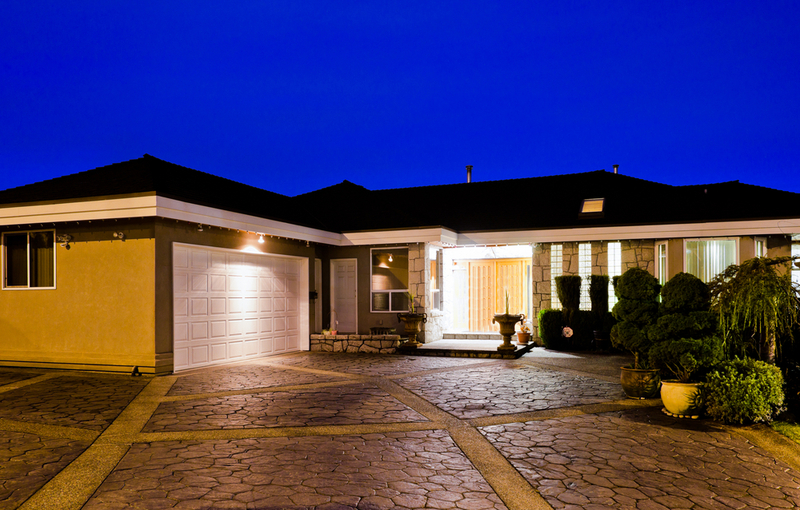 More classy and eco-friendly alternatives for driveways and walkways are gravel, cobblestone and brick. Curved walkways convey artistic outdoor ambiance better than perfectly straight walkways. Think of paving paths to the lake in such a way that merges with nature, using wooden, dirt or stone paths. 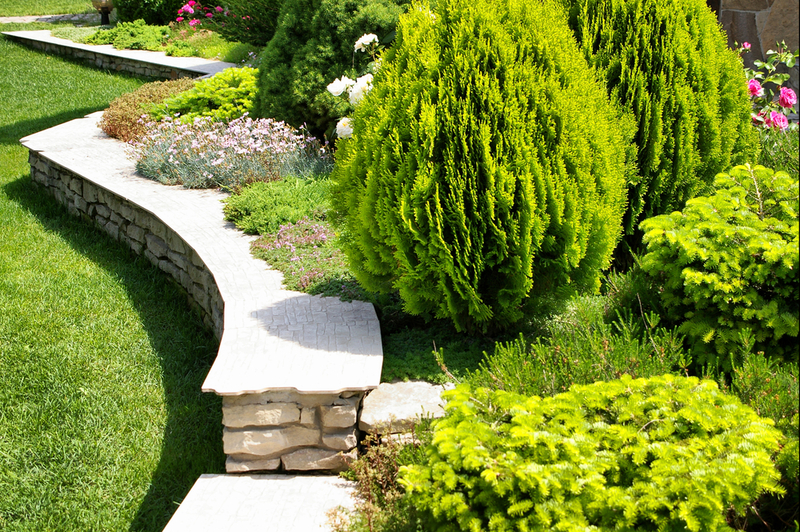 Surrounding these paths with vegetation helps achieve a natural casual or formal presentation. Redwood is a very popular building material for patios due to its gorgeous color, but stone, brick or ceramic tile will last much longer and not require as much maintenance. The ultimate green patio designs will include shading from trees. Pay attention to subtle details such as contour and grading in the planning stages. Ideally, the grade will slope away from the home to allow water runoff, preventing unnecessary moisture to your home’s foundation. You may want your lakeside home to be completely private to keep wandering strangers off your property. If that’s the case consider solutions that still look appealing for the neighborhood so that the property doesn’t resemble a prison. Stone or brick walls present both a traditional and modern, secure appearance, whereas steel or iron fences are sturdy but convey uptight suburban reclusiveness and wood requires maintenance. Trees that tower over stone or brick fences provide a more comfortable, relaxed atmosphere. Double check with local, county and state agencies on what you are allowed to manicure as far as your shoreline. Such renovation can affect wildlife, plants and water quality. You will likely be allowed to naturalize your shoreline, which can reduce erosion and enhance quality of life. Building a limited brick walkway from a patio to the water is a common aesthetic solution that provides minimal disturbance to the environment. Adding boulders and beach sand also helps enhance the appearance and merge with nature. One of the best ways to complement a lake view is with a backyard swimming pool that matches the color of the lake. Surrounding the pool with stone landscaping and greenery adds even more of an earthy charm. The pool can be heated and cooled with a geothermal system that draws energy from the ground. This energy can even be used to heat the home in the winter and cool it in the summer, dramatically cutting energy costs. It’s actually one of the most powerful forms of renewable energy and can be partially financed with tax credits. A solar water fountain is powered by sunlight and continuously recirculates water, requiring minimal water to be added once in awhile. It can be adapted to various environments and helps improve air quality. 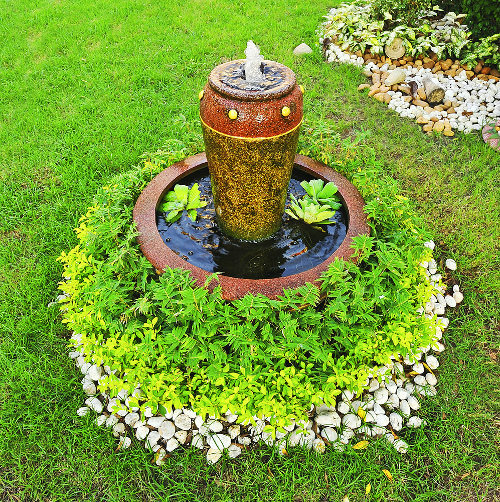 Solar fountains are particularly useful for sustaining gardens. Instead of hearing electric power, you will hear the serenity of natural flowing water. Another environmentally safe option is a bamboo fountain, which can also be used indoors or outdoors.